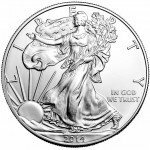 These exquisitely rendered one-ounce walking liberty bars are minted by the Highland Mint right here in the USA. Lady Liberty is one of the quintessential and most cherished symbols of the American dream. While there are many depictions of Lady Liberty, the image on this bar is particularly engaging. Lady Liberty boldly strides forth across unfolding mountain ranges obviously well awake before the sun rising at her feet. Her left arm caresses her traditional sheath of wheat while her right hand is gracefully stretched forward in a gesture of open invitation. This gesture symbolizes the traits that America is most revered for; assertive nourishment and generosity, and attentive awareness of the needs of others. Lady Liberty is performing the role that the world has come to adore most about America as the country that is willing to selflessly extend itself that extra mile to help others who are facing difficult times. 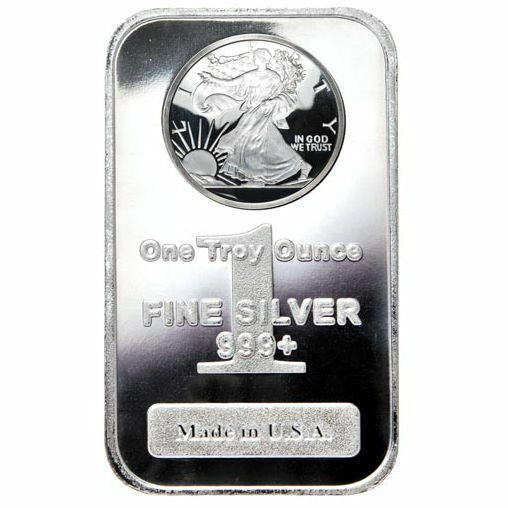 The front side of the bar is also marked with the certifying stamp of one troy ounce, 999 + percent pure fine silver, made in the USA. The reverse side of the bar is distinctively rendered with a crisscross pattern that enables it to be conveniently held and stacked. 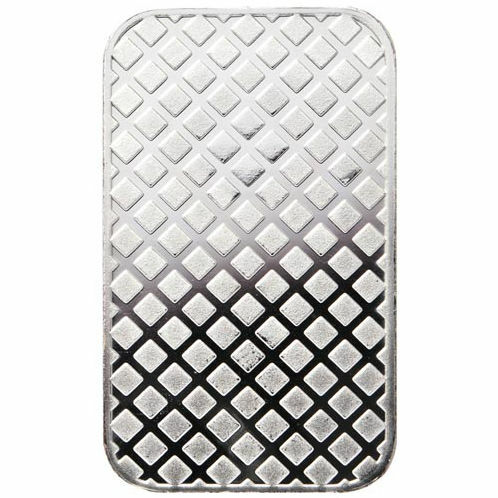 Collectors of precious metals will be delighted with the esthetic beauty of this finely etched bar, and will cherish the sentiment that it extolls. This pure silver bar is a credit to any collector’s treasury. Pristine uncirculated Walking Liberty Pure Silver Bars are shipped in their sealed original Highland Mint plastic casings. 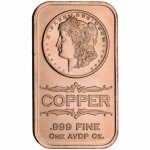 Silver.com provides free shipping for orders over $3,000, which will be sent via USPS or UPS and delivered to the destination of your choice. Each order is insured against damage or loss to ensure your precious metals are fully protected. If you have any questions about these exquisitely designed Walking Liberty Pure Silver Bars, or any of the products in our catalog, please contact our customer service staff at 888-989-7223. You can also send us an instant message by way of our live chat. We look forward to serving you!